It seems HH calls me in on the important days and when she needs a “Good” narrator… So here I am, and I do have an important announcement. 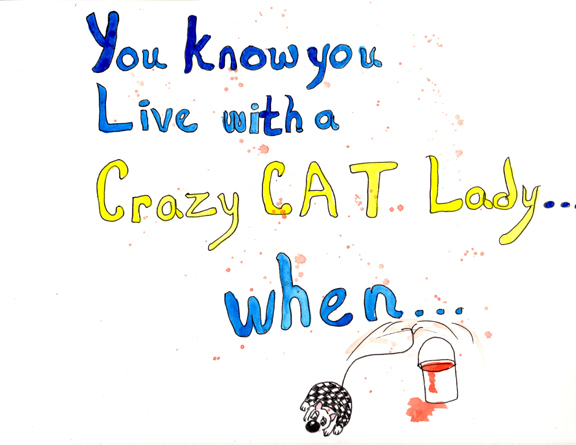 You know you live with a crazy cat lady when________________________. For example, you might send in… You know you live with a crazy cat lady when she runs for the camera instead of scolding you. And, if HH picks your entry (over time she will be picking multiple entries), she will draw a cartoon about it…. You know you live with a crazy cat lady when she runs for the camera instead of scolding you. What do you get if your entry is chosen? 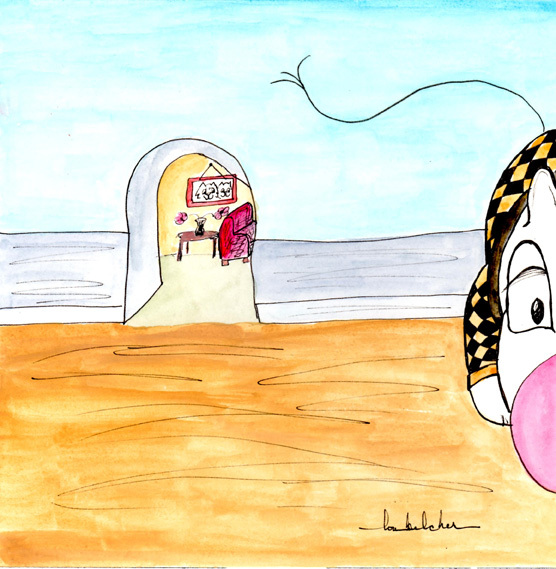 HH will send you a signed jpg of the cartoon to use on your blog. 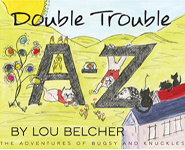 Also, all entries will be posted on Lou Belcher’s site at FineArtAmerica.com so prints or greeting cards of all the cartoons will be available. Okay… that’s it… any questions? 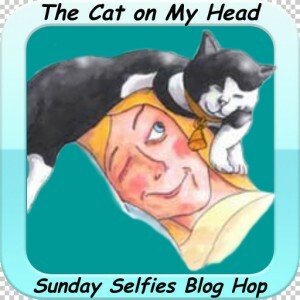 We are participating in the Sunday Selfie Blog Hop put on by The Cat on My Head blog… Please check it out and join in. 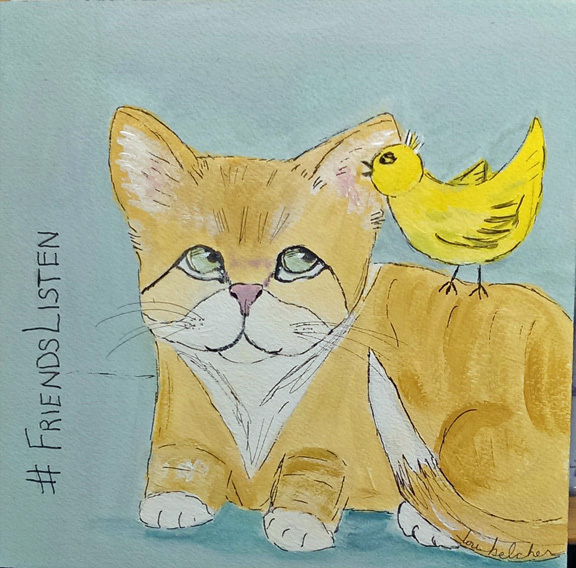 This entry was posted in The Boys and tagged bugsy, cat, cat art, cats, Double Trouble, feline art, humor, Knuckles, Lou Belcher, Sunday Funnies, whimsy. Bookmark the permalink. OMC, that is a GREAT idea! I will have to come up with some ideas. 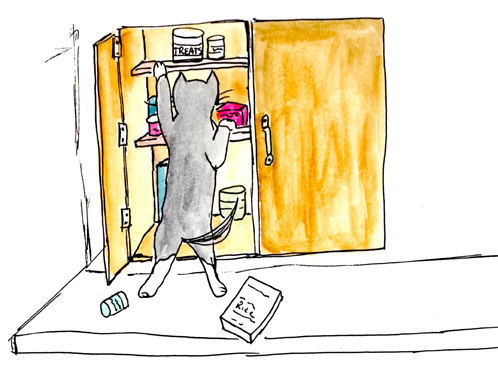 We love the cartoon of the cat tossing food the food out to get at the treats – it would be just like our Mum to empty the cupboard to find she forgot to pick some up at the supermarket! Yes, the boys know how to get at those treats. How fun. Great selfie too. That’s a great selfie! I know there will be some fun ones coming your way! That’s a PAWESOME selfie!!! 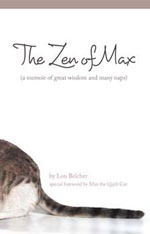 Hrm, how about…”You know you live with a crazy cat lady when she leaves the refrigerator door open because she knows Maxie wants to investigate”? Oh my gosh, I love this idea. Let me give it some thought and come up with a good one. Of course, my assistant is both a crazy cat lady and dog lady! Great. We’ll be looking forward to yours. Thanks! We’ll be watching for them. Thanks. How cool is this!! We will sit and think and find something!!!! He he your post made us laugh again this morning. M says that is what happens around here … It is like you were peeking thru a window. So cute. You know you live with a crazy cat lady when not only does she talk to her cats, she answers for them using different cartoon voices, some with accents respective of kitty personality type.